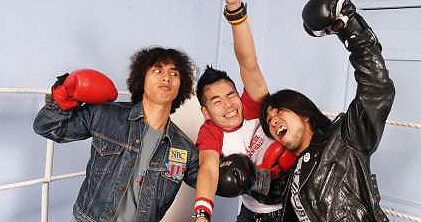 In November 2003 we released a single by Japanese band Electric Eel Shock – Do The Metal. I fist saw the band in Berlin in early 2003. They were playing in an epic venue somewhere in the old east side of Berlin. I sat with the band after their set and got pretty hammed with them. They always seemed like a Japanese Goatboy in some ways – super talented and totally crazy but really, really good guys. We were supposed to release the album Go Europe following the single but we never did and I honestly can’t remember why all these years later. All I know is they were brilliant live – here is Do The Metal – live.